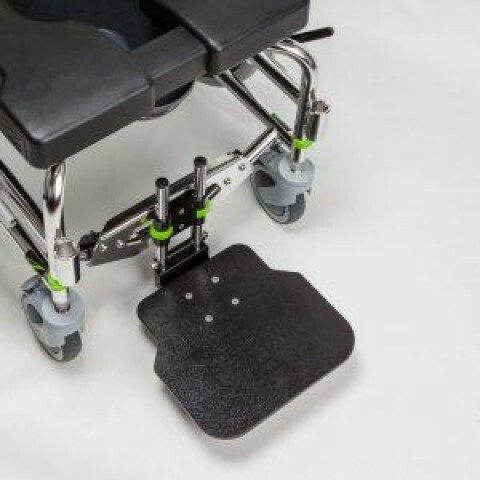 Compact, 1-piece footplate improves maneuverability. Flip-back feature facilitates transfers. Adjusts for lower leg lengths from 16″ (40.5cm) to 20.5″ (52cm). Fits Raz-AP/SP and available by special order for other models.